Boutique en ligne de microfibres, loques, serpillières, mop, etc. Satisfied Guaranteed or your Money back! Made with superior quality fibre fabrics, Actex/ Vikan’s microfibers is a dream come true for housewives. Aqua Clean Concept offers quality microfibers with several advantages. To help you clean the house, Aqua Clean Concept’s on-line shop sells cleaning equipment in Actex/ Vikan microfibers. This Swedish microfiber is a natural product that allows a 100 % eco-friendly cleaning without any toxic or chemical industrial products. For many years, the on-line platform, Aqua Clean Concept, has become the reference on the internet for the sale of microfiber cloths. To allow for a thoroughly clean house, the on-line shop offers different products from multipurpose microfiber cloths that allows you to clean and remove grease to Actex/ Vikan’s special glass surfaces and windows cloths that offer a shine and cleanliness to windows. 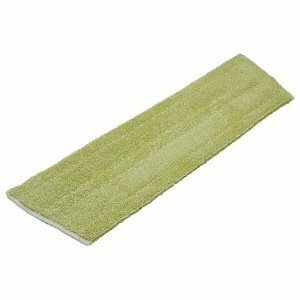 To maintain your floors, no matter what the floor type, (wooden, stone, tile, linoleum, and many more) Aqua Clean Concept offers you mops pads in microfibers and broom handles. The Swedish brand Actex/ Vikan is the best on the market. The different cloths in Swedish microfiber sold in the on-line shop are great quality and resilient. With the right care, these cloths allow up to 300 uses. Trial packs guaranteed 2 years. Aqua Clean Concept also sells starter kits to help you get familiar with using microfibers to clean. These kits as well as all other products in microfibers benefit from a 2-year guarantee. Get value for your money along with the best quality. Aqua Clean Concept’s shop sells quality microfibers at an affordable price, including our promotional microfiber kits. An investment that, in the long run, will allow you to save a lot of money. Possible group purchases of microfibers. For companies and private buyers who wish to have a reserve of ultra-efficient microfiber mops, Aqua Clean Concept offers its clients group purchases of five microfibers at a reduced price. No need for chemical cleaning products. Water added to the microfiber is enough to clean and remove grease from the home or office, guarantees a 100% clean that is respectful to the environment and allows you to avoid all risks for young children and domestic animals. For dusting and polishing: To remove dust from furniture and objects, use a dry microfiber cloth which is possible thanks to the electrostatic activity of the Swedish microfibers. It can also be used as a sponge for the microdroplets of water left after cleaning with a wet microfiber cloth. The second passage causes a polished effect on all hard surfaces. For each situation, a microfiber solution! Dirty windows? Luckily, there is a microfiber cloth for windows that eliminate all traces of dirt and leaves the glass surface flawless and 100% clear. This cloth is also very efficient on stainless-steel objects, varnished furniture and chromed-plated objects. Considering a deep clean? 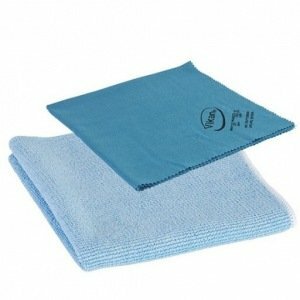 For a chore quickly finished, arm yourself with an original multipurpose microfiber cloth! When it is wet, it removes grease. When it is dry, it can dust and shine surfaces. What a powerful combination! The car needs to be cleaned? Ban the automatic or manual car wash facilities both of which use a large amount of water. In its place, choose to use a large microfiber for cars and motorcycles. This method allows you to shine the auto body’s finishes in an eco-friendlier way and responsible manner. Smartphone and tablet screens full of fingerprints? The daily use of emerging technology is not without consequences for your mobile devices. To keep your mobile device always flawless, arm yourself with a microfiber for computer screens to be used dry that will remove all the bacteria and greasy residues. Dirty Floors? In a blink of an eye, the mop will polish your smooth surfaces and remove any residues on your tiles, wooden flooring, and PVC floors. Dust, stains and dirt will be nothing but a bad memory! Need information on our products? On your order? Contact us! A question about your order? A comment you would like to make? Don’t hesitate to contact us with all your questions or for any further information about Actex/ Vikan’s microfibers. Our team will help you in every way. Boutique en ligne de microfibres, loques, serpillières, mop, etc. Aqua Clean Concept est le leader de la vente de chiffons en microfibre de la plus haute qualité. Satisfait ou remboursé | Livraison gratuite dès 50 € | 2 ans de garantie. © Copyright 2018 - E-net Business, creator of e-commerce websites for businesses, self-employed, & SMB.